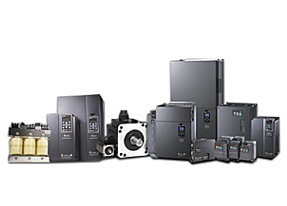 With solid technology and experience in drives, motion, control, power quality, industrial networks, sensors and robot solutions, Delta offers high performance, and high reliability products and solutions that fulfill a wide range of industrial customer needs. We also provide information management systems such as SCADA & EMS to construct complete, integrated solutions for future smart manufacturing. 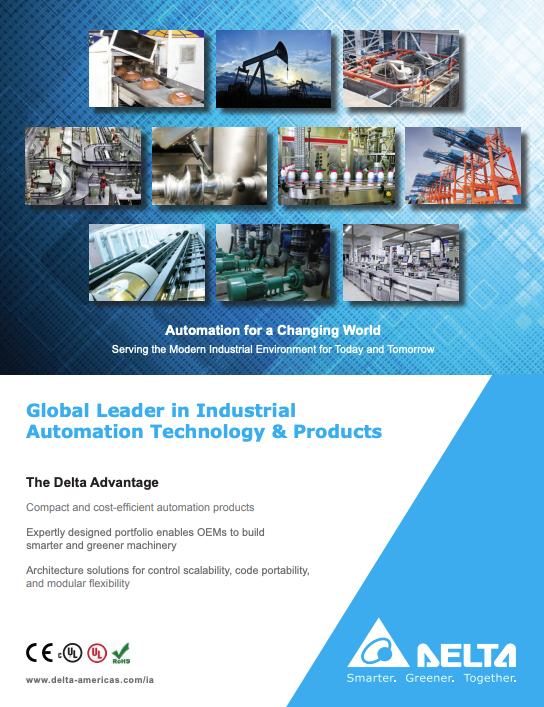 As a leading industrial automation brand, Delta continuously develops innovative products, systems and solutions with quality, reliability and excellence to deliver our commitment of providing “Automation for a Changing World”. Interested in a Delta Products?